As goes Rush . . .
LIBERAL MEDIA: In debate coverage, on bleeding MSNBC, I heard liberal pundits automatically refer to the ‘liberal media’. They’ve not only accepted but are now employing the very label assigned them by the morbidly obese, four times married, college dropout and indicted drug offender, a label he invented and employed over decades to discredit, denigrate and insult you. Throughout, if you even bothered to defend, your arguments were weak. “No we’re not” doesn’t do it. (Exception is Eric Alterman’s 2003 meticulously researched book What Liberal Media? – hurry, only two left at Amazon!). So you failed and now a good part of the country assume media to be liberal; they even believe that outlets like the broadcast networks exhibit bias in their vapid little 19 minutes a night of ‘news’. Well done, Rush; fail, Dems. DEMOCRAT PARTY: Same thing. The morbidly obese, four times married, college dropout and indicted drug criminal began some years ago saying “Democrat Party” instead of “Democratic Party”. Again an insult, meant to strip from the party’s name any suggestion that it stood for a democratic ideal or even process. You’ve no doubt heard it from Rush: Dems now say it too. OBAMACARE: This one only took about five minutes. As soon as the morbidly obese, four times married, college dropout and indicted drug offender invented the name, it was universally adopted because, after all, it’s so much easier to say than Patient Protection and Affordable Care Act. Conservatives insist that liberals never ever criticize their own, and especially not Dear Leader. Which is nonsense of course. Glenn Greenwald, a liberal’s liberal who now blogs at Salon magazine, writes this today in a post he calls “The Authoritarian Mind”. Hollywood producer and director Davis Guggeinheim just produced a 17-minute “documentary” hailing the greatness of Barack Obama and his many historic and profound accomplishments, and it will be released this week by the Obama campaign. Please just watch this two-minute interview of Guggenheim by CNN’s Piers Morgan in which Guggenheim explains that nothing critical can or should be said of our President other than the fact that he is so Great that his Greatness cannot be sufficiently conveyed in a single film (via VastLeft); other than noting the obvious — how creepy his Leader worship is and how perfect of a guest-host he’d be for several MSNBC shows — all I can say is that this is the pure face of the Authoritarian Mind, but it is as common as it is repellent . . .
CNN video at the link. I stopped subscribing to the paper over a year ago except to purchase a Sunday paper for sports/movies, as the paper has moved way too far to the left to be credible anymore. As the country is center right, your paper has continued to move further left. Hopefully a change in direction will be made to restore the paper’s credibility and for more balanced news. The writer so disapproves of the 20 or so inches of daily editorial opinion (which he doesn’t have to read) that he chooses to shut out the news and close himself off from the area’s primary source of local information. Face, meet the Nose – before it’s gone. But there does remain the matter of those ‘liberal’ editorials. So I guess it’s all or nothing, as Rush says. Anyway, it’s a small price to pay when you are striking blows for liberty. Or something. Netroots Nation, the liberal media and who’s making the money buddy? 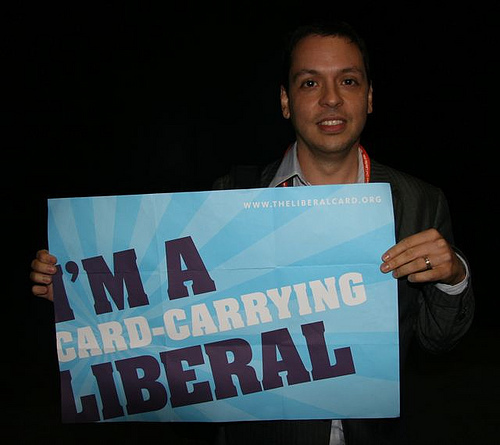 The Netroots Nation convention (referenced below) was so named by readers of Markos Moulitsas‘ blog, Daily Kos, probably the most influential liberal site in the blogsphere. It’s routinely demonized by the right who have dubbed it – and by extension Markos – The Great Orange Satan (the logo color is orange). Kos has gone from a a lone blogger – immigrant, veteran, lawyer, author, father, political activist -whose very first sentence in his first blog post (in ’04 I think) was “I am a liberal”, to a community of tens of thousands of activists, hundred and hundreds of writers and advertising rates that would make The New York Times blush. I’ve written often – here, and here, and here – about the utter failure of the liberal punditocracy and elected Democrats to make the point that liberal media dominates because it’s what people want and support with their dollars. A blog is media. Daily Kos is a blog. Daily Kos is liberal and Daily Kos is making money. Lots of money. 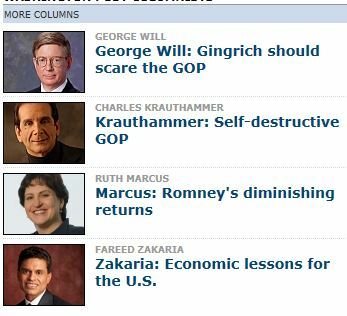 It’s more successful than its conservative rivals (except perhaps The Druge Report which even after a decade plus is still only a primitive blog acting as a news aggregator with a point of view). In any free market the major players are the ones that rake in the bucks because people value the product and pay for it. The media may be liberal, but what’s almost never mentioned is that it’s also what America reads and watches. And pays for. 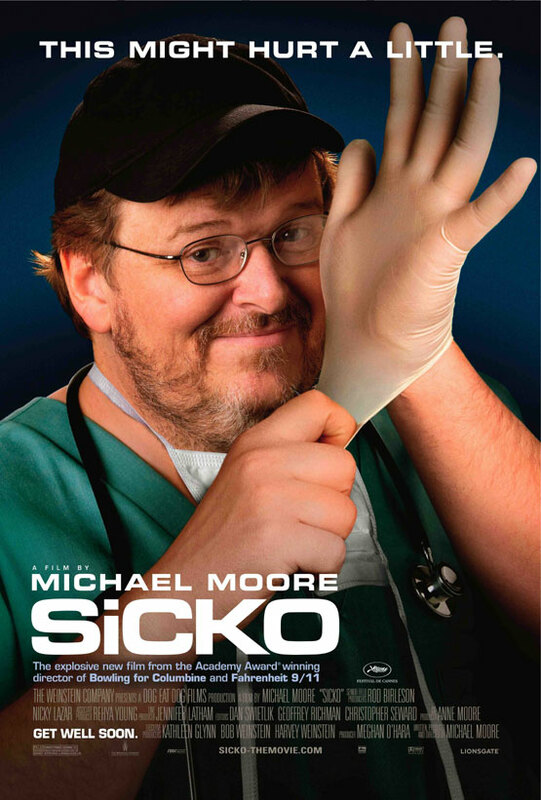 Let’s look at movies and compare the box office success of the anti-liberal movie Ayn Rand’s Atlas Shrugged with Sicko, Michael Moore’s liberal documentary. Both of these were in limited release. The man who says he spent $10 million of his own money to bring Atlas Shrugged: Part 1 to the big screen vowed Wednesday to go through with his plans to make the next two installments, even though critics hate the movie and business at movie theaters has fallen off a cliff. [Producer] Aglialoro said he had to scale down his ambition for the film to be in 1,000 theaters this weekend, so it will likely be closer to 400. During its opening weekend, the movie took in $5,640 per screen but then only $1,890 in its second. Through Wednesday, the film had grossed $3.3 million since opening April 15. That paper also covered Sicko when it was released in ’07. here. Liberal media has more reach. Because people pay for it. From an earlier post, I’ll republish this, because it can’t be posted often enough. I draw the reader’s attention to which of these publications thrive in the free market and which are rich men’s hobbies. Liberal media, my derriere. This is what a real newspaper does. This is what the best does (use the slider function at the link and take your time. Look for the water channels cut into the shorelines. ). Look for anything comparable anywhere else in print. All Japan stories there are worth a look, especially the interactive graphics. But bad behavior by ‘journalists’ in the ‘liberal media’ is always on my list. And now, bad unprofessional behavior by two in 2008, criticized as such by fellow journalists at the time, has been redrawn as proof that not only is the media liberal but they conspire to protect Obama. The outrage of the last week or so has centered on a ‘list serve’ called Journolist, begun by Ezra Klein of the Washington Post. He created it as a place for journalists to discuss and tangle with the stuff they were reporting about. List serves are common in industries – hell, I belong to one and am about to try to start another. But they’re not public – although anything with hundreds of members is not very secret. The way this became an outrage is just too long for me to recount. Go google it. Now over the last 48 hours, there’s a new twist which has inspired hours of radio time, the usual FOX treatment and an explosion of right wing outrage in the blogshpere. The indignity – the thing which has set them off – has to do with comments on the list serve following the 2008 Presidential debates, where George Stephanopolous had asked Obama about Rev. Wright and also why he didnt’ wear a flag pin. At the time, a number of media critics and list serve participants – took issue with that – charging the two moderators with a failure to address or ask about the pressing issues of the day. This old and sorry and not particularly substantive story is what’s set our right wing friends afire. They’ve interpreted it to mean that liberal journalists conspired to protect Obama from hard questions and the criticism following the debate was because anything re Rev. Wright was a hard question so that proves conspiracy. Follow that? “In perhaps the most embarrassing performance by the media in a major presidential debate in years, ABC News hosts Charles Gibson and George Stephanopoulos focused mainly on trivial issues as Hillary Clinton and Barack Obama faced off in Philadelphia. They, and their network, should hang their collective heads in shame. “Wars in Iraq and Afghanistan, the health care and mortgage crises, the overall state of the economy and dozens of other pressing issues had to wait for their few moments in the sun as Obama was pressed to explain his recent “bitter” gaffe and relationship with Rev. Wright and not wearing a flag pin — while Clinton had to answer again for her Bosnia trip exaggerations. “Then it was back to Obama to defend his slim association with a former ’60s radical [Bill Ayers] — a question that came out of right-wing talk radio and Sean Hannity on TV, but was delivered by former Bill Clinton aide Stephanopoulos. This approach led to a claim that Clinton’s husband pardoned two other ’60s radicals. And so on. The travesty continued.